You can keep Easter or Christmas and any other holiday, the AFL season is the real gift that keeps on giving. 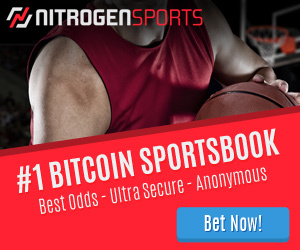 My total betting profit currently stands at $418,890.00. My total profit from following the AFL model since year 1 is $255,091.11. That’s 60.1% of my total profit. Last week saw the pre-season comp end. In 6 mouthwatering days the 1st round kicks off. My bank this year for both the H2H and Line bets is $150,000. This is the only model I also use a moving bank for. At the end of each week I will change my bank size. If I lose at the start of the season the bank will remain at $150,000 until I have made a profit. My hope is for a 50-100% return on capital ($75,000 to $150,000). 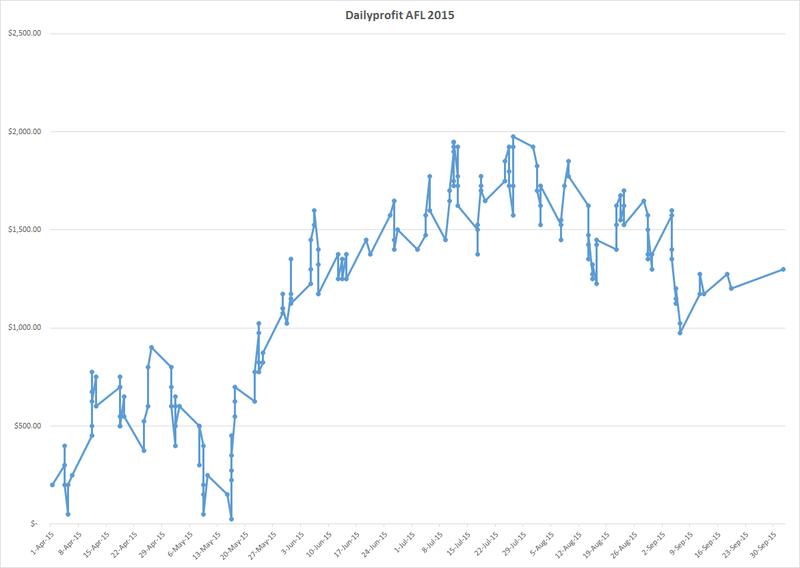 This will be the second full AFL season for Dailyprofit, but the model has been around (online) since 2002 through the Sportpunter website. It is by far the most consistently profitable model I have ever come across. Last season the AFL model bet a total of 211.5 units and made a profit of 13 units. That’s a return on investment of 6.1%. As a comparison, my entire betting career has returned 1.56%. We placed 176 bets and won 93 of them (52.8% win rate). As you can see by last seasons graph, the model usually performs better at the start of the season with profits peaking in July. 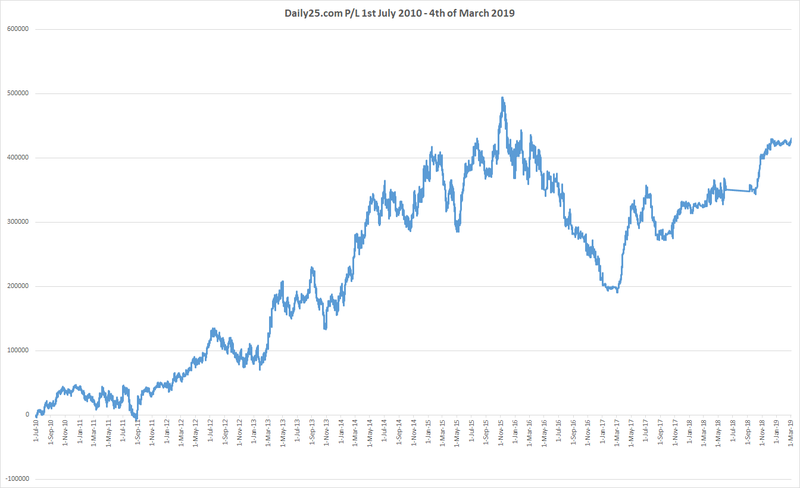 That pattern might not repeat this year, but it has been shown over many years that the early rounds produce the most profit for us. During the NAB cup, we sent out unofficial bets and they returned 6.1605 units profit at a 17.47% ROI. These odds were recorded at just Pinnacle and by placing bets at Australian bookmakers the returns would have been close to 25-30% ROI. So things are looking good for another great season. We will be sending out bets on the day of each game at 11:30am AEST. We will be recording at the Topsport $2 lines. These lines are there to make recording consistent, and better lines and results will be made by shopping around. Most Australian books (as long as you are not banned) will take large bets and the likes of Pinnacle take bets up to $25,000 USD. As the Dailyprofit service continues to grow and we already have a large base of members who will be betting the AFL model, this year and going forward for all other sports, there will be a cap on member numbers. That cap was set at 40 new Sportpunter/VIP subscribers, but there have already been 19 AFL subs taken out in the last week. We have 21 places remaining (o places) and then we will open up a wait list. The only way to get in will be if a current member leaves. I’m not sure if those extra 21 places will be filled as I guess almost everyone who reads this blog is already a Dailyprofit member, but as soon as the cap is reached I will be closing the entire SP & VIP service. The Value & Risk free service will remain open. You can sign up directly below or by visiting the dailyprofit website. Here’s to another amazing AFL season.